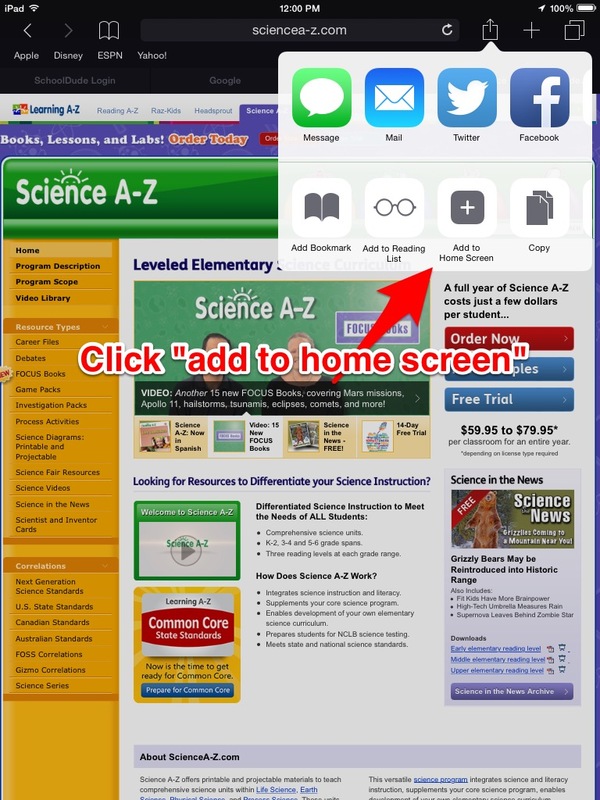 Adding an icon to the home screen of your iPad to quickly access a frequently used website is a simple, three steps process. 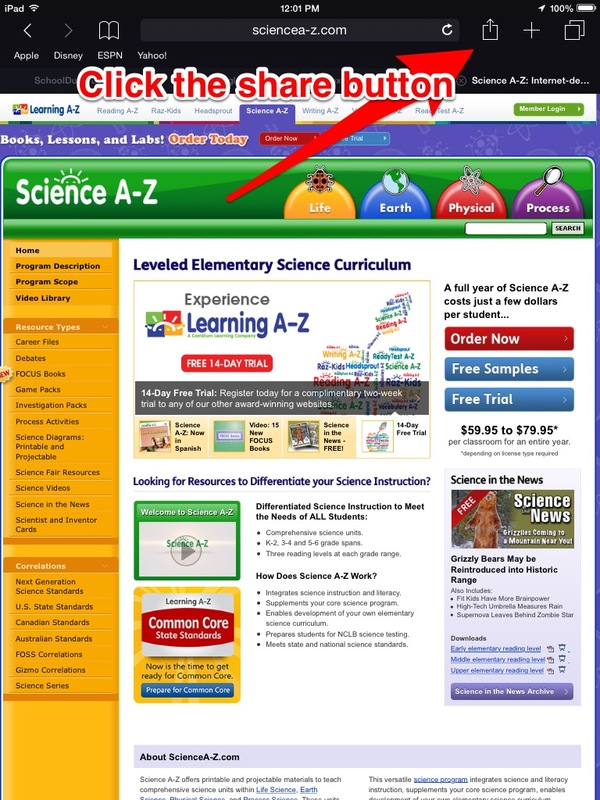 At the elementary level, you may want to add the Science A-Z website to your home screen if you’ll plan to use this site often. 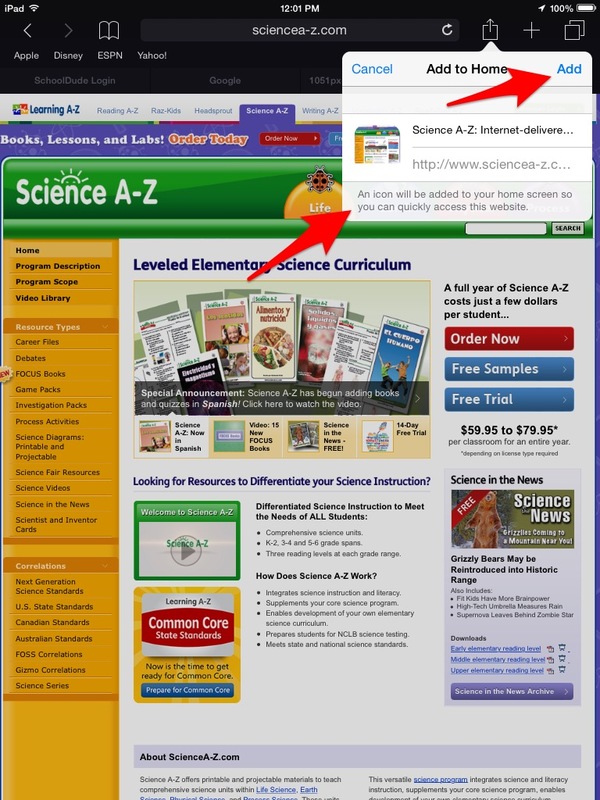 At the middle and high school levels, students may want to add an icon to Google Classroom. The screen shots below walk you through this process that should take you no more than one minute to complete.